RevitCity.com | Image File not Alligned? Forums >> Revit Structure >> Technical Support >> Image File not Alligned? Thu, Mar 12, 2009 at 5:52:20 PM | Image File not Alligned? I have a problem in Revit Architecture. I am designing a floor for a room with a big tile design in the middle. I set the floor to a finish and put an image file in for it. 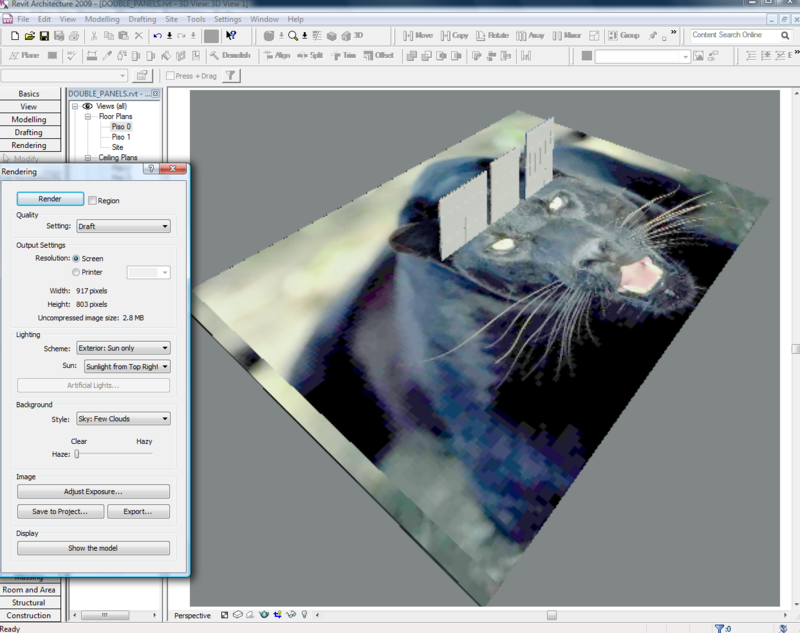 The image is a big panther, however, every time I render the image the panther is not centered. Instead of one large centered panther, 4 pieces of one show up, off center. I have done everything I can think of, can someone please help? Thu, Mar 12, 2009 at 6:36:50 PM | Image File not Alligned? It looks like you used this as a finish material instead of a decal and the pattern start is in the middle of your space. I'm not sure how you can control this. But if you place this pattern as a decal on the floor, it should work. Thu, Mar 12, 2009 at 7:26:19 PM | Image File not Alligned? Thu, Mar 12, 2009 at 7:43:57 PM | Image File not Alligned? Typhoon - I think the size is OK ... just the repeat location.... seems to be centered on his space rather than one corner. Thu, Mar 12, 2009 at 8:07:30 PM | Image File not Alligned? 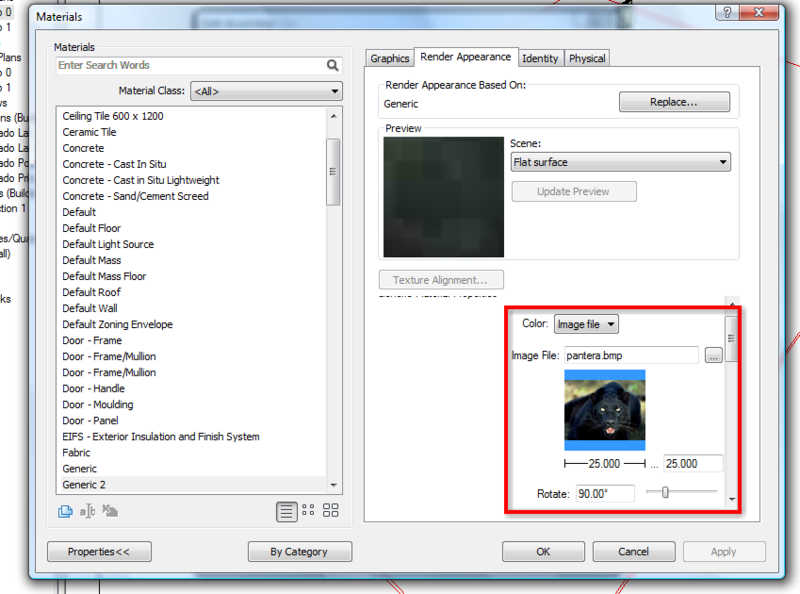 Hummm, what about "Split Face" that floor in the place you want and Use the "Paint" tool with that "texture"???? Thu, Mar 12, 2009 at 8:10:46 PM | Image File not Alligned? Thu, Mar 12, 2009 at 8:55:36 PM | Image File not Alligned? Sat, Mar 14, 2009 at 4:58:57 AM | Image File not Alligned? Export an Image shortcut help.